A compact and stable tunnel tent for solo trekkers who like to travel with a smaller backpack. One main pole and strong corner poles in aluminium give generous head height and space over the feet. The Abisko Lite 1 Tent is a comfortable, reliable and lightweight trekking companion when you want to travel alone. The flysheet is made from Fjällräven's high-performance nylon and an innovative construction that combines two different fabric weights giving excellent strength despite low weight. The vestibule is spacious for a one-man tent and there is plenty of room for gear. 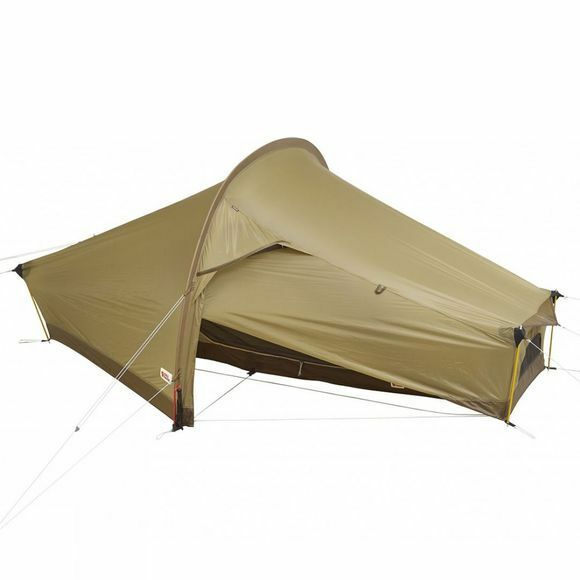 The flysheet and inner tent are connected, making handling easy and protecting the inner tent from rain while pitching. 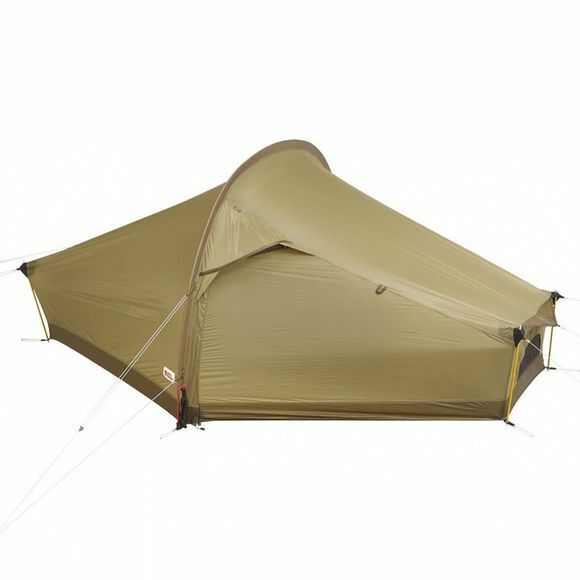 It is also possible to use double tent poles (an accessory) when using the tent in exposed conditions. Ventilation is excellent with three openings, positioned both high and low, which can be completely closed if needed. For really good airflow in warm conditions, the flysheet door can be rolled up to half way and fastened in place with an auto-lock that won't let the zip creep open in strong winds. All openings, including the inner tent door, are covered in a fine mesh that keeps out even the smallest, barely visible insects. A clothes line plus mesh pockets in the inner tent make it easy to dry gear and keep organised.